Peter Swire and Cassandra Butts have a fascinating new article, “The ID Divide.” It contains a tremendous amount of interesting information that I wasn’t aware of, about how infused with non-driving purposes the drivers license is. I mean, I know that the ID infrastructure, is, in essence and aim, an infrastructure of control. Even so, I didn’t realize how far it had gone as a tool of compliance enforcement. My copy of this report is covered in markup, about “the computer is always right,” about linkability, about data shadows. In fact, about the only thing I don’t like is the title. I don’t think this is a divide, I think that identity has become an archepelago, a la the Soviet Gulag system. the archipelago, forced to learn its ways. In conversation, Peter has said that the Gulag analogy is too over-used, which is a shame. Maybe identity is more like an accident–you’re driving along and 35 and boom, you wake up in the hospital. Maybe it’s more like a vase, dropped and you’re cutting yourself picking up the shards. What’s the right description for the fragile system we have where people get violently yanked into the nightmares? What’s most interesting to me is how well Professor Silver actually went out and understood a problem. Most of us see no need for adjusting our own glasses. 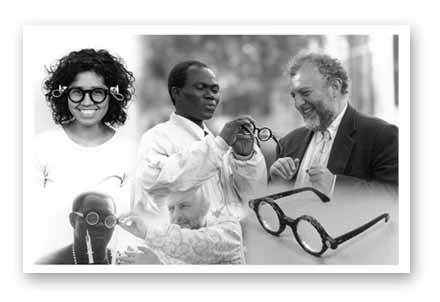 But in the developing world, there aren’t nearly as many opticians. Getting a prescription can be impossible. The essence of great product management is to understand a real problem people face, and give them a complete solution in which they’re willing to invest their time and money. …or, antique car collectors are an honest lot. According to the Times (of London, dear chap), a recently-deceased British surgeon has left his heirs a rather significant bequest: a super-rare, super-fast, antique Bugatti which hasn’t been driven since 1960 and is expected to fetch several million at auction. James Knight, the international head of Bonhams’ motoring department, was one of those who knew where the example, chassis number 57502, was hiding. “I have known of this Bugatti for a number of years and, like a select group of others, hadn’t dared divulge its whereabouts to anyone.